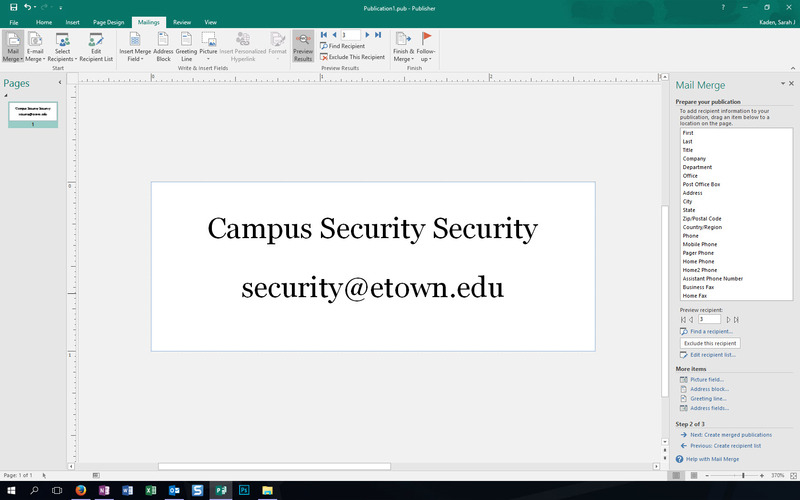 If you are creating labels in Publisher using a Mail Merge, you can see that each label has different recipient information. 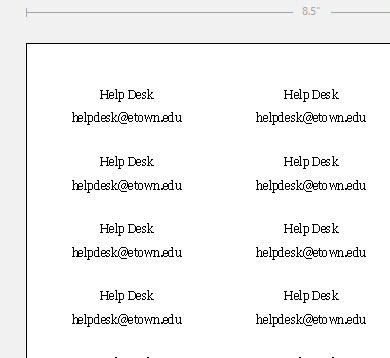 However, when you go to print the labels, you will only see one recipient per entire page of labels. 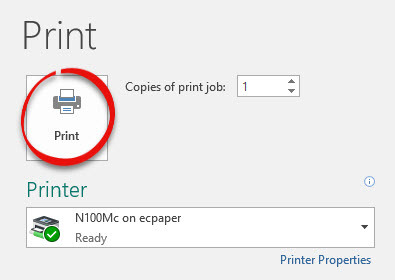 Here is how to print only one label for each recipient, rather than print multiple labels for each recipient. This process also works in Publisher 2013 & 2010.
but in the Print Preview pane, only one recipient is shown on the whole page of labels. Step 1:In Publisher, after you've created the label and entered the recipient fields, click the File tab and choose Print. 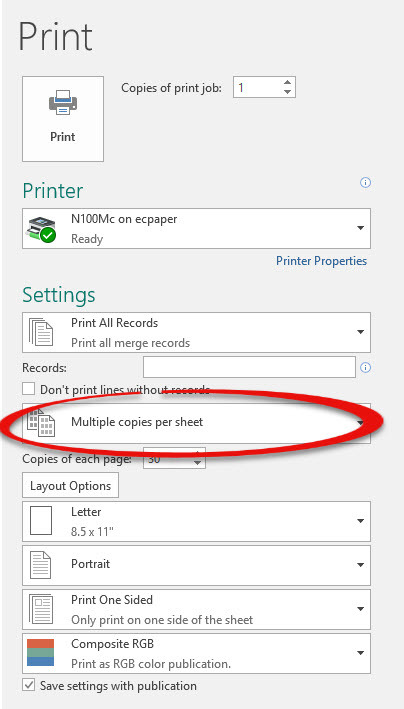 Step 2:Under Settings, click the drop down menu labeled Multiple copies per sheet. 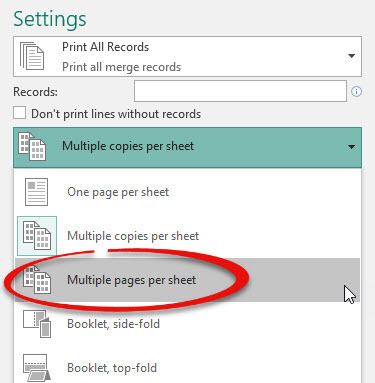 Step 3:Select Multiple pages per sheet. 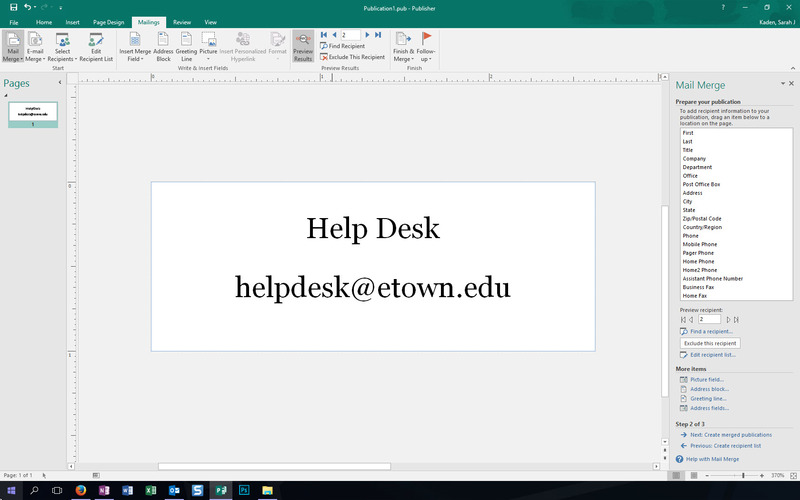 Step 4:You will see in the Print Preview pane that there is only one label per recipient.